The drawing is now closed. Congrats to Trevor K. from San Jose, CA who won the device. I've been playing with the new Roku 2 box over the past few weeks and soon I will be publishing my review of the unit along with my thoughts on whether or not users should upgrade to the newest model. 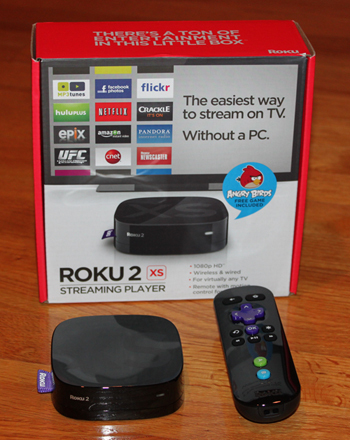 But in the mean time, I'm giving one lucky reader of my blog the chance to win a free Roku 2 XS streaming player. To enter the drawing, all you have to do is leave one comment on this post and make sure you submit the comment with a valid email. The drawing is open to anyone with a mailing address in the U.S. and I will select one winner at random in two weeks. Good luck!